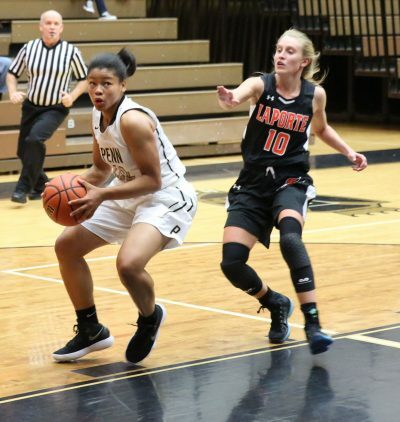 Penn used a balanced attack to defeat New Prairie, 65-21, in Girls Basketball action on Saturday, Jan. 6. The Kingsmen improve to 9-0 in the Northern Indiana Conference and own a 16-1 record overall. Sara Doi led Penn with 13 points. Antreese Shelton and Jordyn Smith scored 8 points each. Trinity Clinton scored 7 points.